John Lothrop Motley (April 15, 1814 – May 29, 1877) was an American author, best known for his two popular histories The Rise of the Dutch Republic and The United Netherlands. He was also a diplomat, who helped to prevent European intervention on the side of the Confederates in the American Civil War. Dorchester is a Boston neighborhood comprising more than 6 square miles (16 km2) in the City of Boston, Massachusetts, United States. Originally, Dorchester was a separate town, founded by Puritans who emigrated in 1630 from Dorchester, Dorset, England to the Massachusetts Bay Colony. This dissolved municipality, Boston's largest neighborhood by far, is often divided by city planners in order to create two planning areas roughly equivalent in size and population to other Boston neighborhoods. Portland is a city in the U.S. state of Maine, with a population of 67,067 as of 2017. The Greater Portland metropolitan area is home to over half a million people, more than one-third of Maine's total population, making it the most populous metro in northern New England. Portland is Maine's economic center, with an economy that relies on the service sector and tourism. The Old Port district is known for its 19th-century architecture and nightlife. Marine industry still plays an important role in the city's economy, with an active waterfront that supports fishing and commercial shipping. The Port of Portland is the largest tonnage seaport in New England. India Wharf in Boston, Massachusetts, flourished in the 19th century, when it was one of the largest commercial wharves in the port. The structure began in 1804 to accommodate international trade at a time when several other improvements to the Boston waterfront occurred, such as the creation of Broad Street and India Street. John Lathrop (1740-1816) was a congregationalist minister in Boston, Massachusetts, during the revolutionary and early republic periods. Wendell Phillips was an American abolitionist, advocate for Native Americans, orator, and attorney. Park Benjamin Sr. was well known in his time as an American poet, journalist, editor and founder of several newspapers. North American Review (NAR) was the first literary magazine in the United States. It was founded in Boston in 1815 by journalist Nathan Hale and others. It was published continuously until 1940, but was inactive from 1940 to 1964, until it was revived at Cornell College (Iowa) under Robert Dana. Since 1968, the University of Northern Iowa has been home to the publication. Nineteenth-century archives are freely available via Cornell University's Making of America. Merrymount is a primarily residential neighborhood of Quincy, Massachusetts, USA, located between the neighborhoods of Quincy Center and Adams Shore. Although it was the site of Quincy's initial settlement, Merrymount was not substantially developed for residential use until the first half of the 20th century, and most of the neighborhood's houses date from that period. The Lowell family is one of the Boston Brahmin families of New England, known for both intellectual and commercial achievements. They originally settled on the North Shore at Cape Ann after they arrived in Boston on June 23, 1639. The patriarch, Percival Lowle (1571–1665), described as a "solid citizen of Bristol", determined at the age of 68 that the future was in the New World. By the 19th and 20th centuries, the Lowells descended from John Lowell (1743–1802) were widely considered to be one of America's most accomplished families. Guillaume Groen van Prinsterer, Dutch politician and historian, was born at Voorburg, near The Hague. William Elliot Griffis was an American orientalist, Congregational minister, lecturer, and prolific author. The Battle of Zutphen was fought on 22 September 1586, near the village of Warnsveld and the town of Zutphen, the Netherlands, during the Eighty Years' War. It was fought by the forces of the United Provinces of the Netherlands, aided by the English, against the Spanish. In 1585, England signed the Treaty of Nonsuch with the States-General of the Netherlands and formally entered the war against Spain. Robert Dudley, Earl of Leicester, was appointed as the Governor-General of the Netherlands and sent there in command of an English army to support the Dutch rebels. When Alessandro Farnese, Duke of Parma and commander of the Spanish Army of Flanders, besieged the town of Rheinberg during the Cologne War, Leicester, in turn, besieged the town of Zutphen, in the province of Gelderland and on the eastern bank of the river IJssel. The Battle of Dahlen was fought on April 23, 1568, between a Dutch rebel army led by Jean de Montigny, Lord of Villers, and a Spanish army commanded by Sancho Dávila y Daza. As a part of William of Orange's planned invasion, the Dutch rebels were trying to conquer the town of Roermond when the arrival of the Spanish force compelled them to withdraw. Dávila pursued the retreating force and inflicted a defeat upon Villers near the small town of Dahlen. The survivors of this encounter sought refuge under the walls of Dahlen, where the Spanish infantry finally defeated them. This battle is sometimes considered the official start of the Eighty Years' War. The Treaty of Plessis-les-Tours was signed on 29 September 1580 between the Dutch Staten Generaal and François, Duke of Anjou. Based on the terms of the treaty, François assumed the title of "Protector of the Liberty of the Netherlands" and became sovereign of the Dutch Republic. The accord was ratified at Bordeaux on 23 January 1581. The Weld family is an extended family of Boston Brahmins most remembered for the philanthropy of its members. The Welds have many connections to Harvard University, the Golden Age of Sail, the Far East, the history of Massachusetts, and American history in general. Stephen Minot Weld Jr., a member of Boston's illustrious Weld Family, was a horticulturalist and much-decorated United States Army officer of the American Civil War. Willem van Nassau, Lord of De Lek was a Dutch soldier from 1620 until 1627. He was the illegitimate son of stadholder Maurice of Nassau, Prince of Orange and his mistress Margaretha van Mechelen. Like their other illegitimate children, he was recognized with the surname Nassau-LaLecq. He went by the title Rijksgraaf van Nassau-LaLecq" and was also popularly known in French as the "Chevalier de Nassau". After 1625 he was granted lands and the title Lord of De Lek. He received his heerlijkheid of De Lek as a bequest from his father to him and his descendants. His brother Lodewijk van Nassau had the title "Lord of Beverweerd and Odijk". Mitchell Campbell King was a planter and physician in the Carolinas. John D. Heywood was a photographer in 19th-century United States. 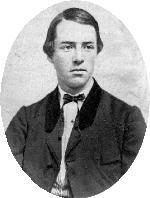 He worked in Boston, Massachusetts, c.1856–1862. Examples of his photographs reside in the New York Public Library;Historic New England; and the Massachusetts Historical Society. The Siege of Middelburg (1572–1574) was a siege that lasted two years and took place in the years between 1572 and 1574 during the Eighty Years' War and the Anglo-Spanish War (1585–1604). A Dutch rebel army with the support of English laid siege to Middelburg which was being held by Spanish forces under Cristóbal de Mondragón. The Spanish held out and only capitulated when news of the relief effort to save Middelburg was defeated at Rimmerswiel. The Siege of Venlo of 1586, also known as the Capture of Venlo, was a Spanish victory that took place on June 28, 1586, at the city of Venlo, in the southeastern of Low Countries, near the German border, between the Spanish forces commanded by Governor-General Don Alexander Farnese, Prince of Parma, and the Dutch garrison of Venlo, supported by relief troops under Maarten Schenck van Nydeggen and Sir Roger Williams, during the Eighty Years' War and the Anglo-Spanish War (1585–1604). 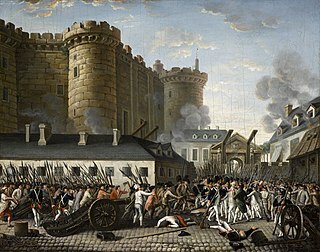 After two failed attempts to relieve the city, the siege ended on June 28, 1586, with the capitulation and the withdrawal of the Dutch garrison. The Siege of Hulst of 1596 was a Spanish victory led by Archduke Albert that took place between mid-July and August 18, 1596, at the city of Hulst, Province of Zeeland, Low Countries, during the Eighty Years' War, the Anglo-Spanish War (1585–1604). After a short siege, during which Maurice of Orange launched a failed attempt to relieve the city – the garrison of Dutch and English troops fell into Spanish hands on August 18, 1596. The Battle of Delft also known as the Defence of Delft was a military engagement that fought during the Eighty Years' War and the Anglo–Spanish War which took place in October 1573 in and outside the city of Delft. The battle was fought by a small Anglo-Dutch force under Thomas Morgan and an attacking Spanish force under Francisco de Valdez. The Spanish were repelled and forced to retreat. George Cressiac, , was an Albanian Epirote chief and commander in service of the Duke of Parma of Spain during the Anglo-Spanish War. In September 1586, Lord Willoughby, under Queen Elizabeth, commanding an English army, captured Cressiac after a duel. Cressiac then said in French: "I yield myself to you". 1 2 3 4 5 6 Boston Advertiser (June 7, 1877), reprinted from The Portland Press. ↑ Guide Book To New England Travel. 1919. ↑ (in Dutch)Johannes van Vloten, Nederlands opstand tegen Spanje 1575-1577 (1860) I, III. 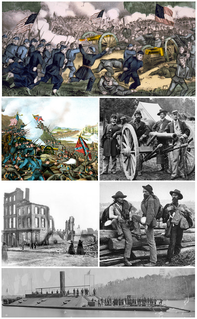 ↑ Making of America - The Causes of The American Civil War: A letter to the London Times. ↑ "Former U.S. ambassadors to Austria". U.S. Embassy in Vienna. Archived from the original on September 7, 2008. Retrieved 2008-12-31. Holmes, Sr., Oliver Wendell (1972) . John Lothrop Motley: A Memoir. Freeport, New York: Reprinted by Books for Libraries Press. ISBN 0-8369-6775-5. LCCN 71-38358. Motley, John Lothrop (1939). Higby, Chester Penn; Schantz, B.T., eds. John Lothrop Motley: Representative Selections. Steinberg, Jonathan (2011). Bismarck: A Life. Oxford: Oxford University Press. ISBN 978-0-19-978252-9. Wheaton, Robert (1962). "Motley and the Dutch Historians". New England Quarterly. 35 (3): 318–336. doi:10.2307/363823. JSTOR 363823. Baarssen, G.H. Joost (2014). America's True Mother Country? Images of the Dutch in the Second Half of the Nineteenth Century. Münster, Berlin, Vienna, Zürich, London: LIT Verlag. ISBN 3-643-90492-4. This article incorporates text from a publication now in the public domain : Chisholm, Hugh, ed. (1911). "Motley, John Lothrop" . Encyclopædia Britannica . 18 (11th ed.). Cambridge University Press. pp. 909–910. 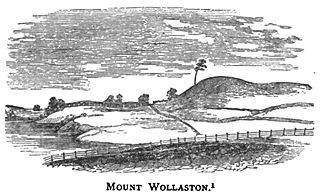 Wikimedia Commons has media related to John Lothrop Motley .